As many of you already know, historically my experience with GAME is not very positive. This is mainly due to me being a thrifty gamer and GAME prices are just too high in these uncertain times, not to mention that their sales tactics can be too aggressive for my liking and in general, their customer assistance is more than a little over bearing. Despite all this, I was a little saddened to hear to all too familiar headlines of the GAME Group announcing that they are expecting to have average, year-end net debt of up to £70 million and could even end up missing its EBITDA (‘earnings before interest, taxes, depreciation, and amortization’) covenants set by lenders, when they are tested on February 27th. The big newspaper headlines will send shockwaves throughout the industry because the lenders could take action against the group for breaching the terms of its loans. In reality, this probably won’t happen, but it was still enough for their shares to take a massive dive after the revenue warning. Although it was a very poor Christmas for the chain, with sales down 17.6% in the eight weeks to January 7th, Online sales over the holiday period actually increased 3.9%, with annual takings climbing and half a million new customers also signed up to the GAME loyalty programme. Gamers rushed to buy latest releases such as Skyrim, Call of Duty: Modern Warfare 3, Battlefield 3 and FIFA 12, but consumers cut expenditure on other games that didn’t sell as well as expected, along with peripherals and hardware. Can PS Vita save the Game Group? GAME is being squeezed by online competitors and supermarkets who can offer top titles at more affordable prices. 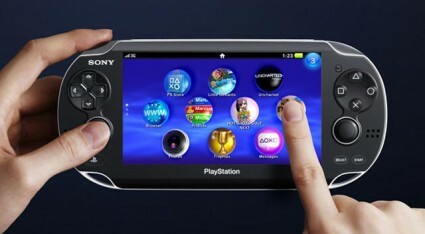 However, retail analysts note that next-generation console launches expected in 2013 will provide a much-needed future boost. All eyes will be on the highly anticipated PlayStation Vita, which launches on 22nd of February, and the Nintendo Wii U later in the year. 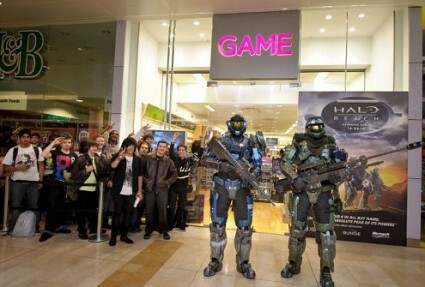 Although the future of other stores on the high street, such as HMV, also look very uncertain, I think that GAME and Gamestation will be fine for the immediate future. However, in order to survive they need to follow Clint Eastwood’s advice in the film Heartbreak Ridge, which is simply “Improvise, Adapt and Overcome” as the gaming industry starts to move into the digital distribution era. If the future consists of no HMV, GAME or Gamestation you could be left with the unsavoury feeling of CEX and the infamous Grainger Games to choose from, so even critics such as myself, should be very careful what you wish for. The current economic climate is starting to bite and these kind of stories become the norm as people look at ways of cutting the costs. This usually starts with a quick look on the internet rather than costly trip to yet another faceless shopping centre. Although I will fight against ‘clone town’ Britain, where diversity remains on the endangered list, a ghost town Britain would be so much worse. There is a great risk that the humble high streets across the land have become outdated and neglected. We seldom take the time to think about the real social and economic worth to our communities that are disappearing before our eyes, in this time of constant change. As for gamers, our world will continue to change too, along with how we purchase our games. Maybe one day, we will look back with great nostalgia of how we used to visit a game store full of like-minded souls, talking about games or even playing them inside the store, before a friendly face tells you about all the games that are due out later in the year. You may even reminisce about how they remembered you every time you visited and the lengthy discussions that ensued. I hope this is not the case and experiences like these can be passed onto another generation of gamers, but there is a wind of change in the air. Tales such as these will be left for you to bore your children with instead, which in many ways is quite sad. Who am I to criticise, though, I am more guilty than you all, as I post the cheapest online deals to buy games on a daily basis, but I hope you understand the sentiments behind this particular message and my final word on the matter is that I hope both GAME and Gamestation have a presence on our high streets for a few more years to come. ← GAMIFICATION: ARE GAMERS BEING PLAYED?